Titling your sophomore release is almost as important as the music contained therein. Its purpose is to reinvent the persona without forsaking tradition. When mentioned, the follow-up name should take us to the same familiar feeling we came to know from the artist’s first expressions, and hint at an approach that is new and refreshing. 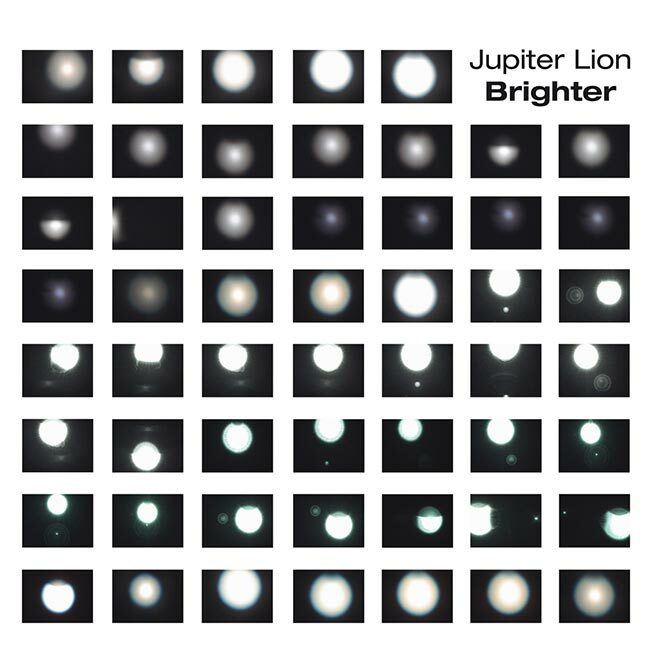 For the second album by Spanish band Jupiter Lion, the name Brighter is an emphasis on a highly synesthetic experience for their listeners. Of the many shapes and colors the band have put down on the record, it’s safe to say that in comparison to 2013’s Silver Mouth, Brighter illustratively self-explains that the band has intensified the metaphysical drift of their sound. But visualizing how their songs may appear as a picture on your mind is just a precursor; Brighter is also for those longing to visit the sector of outer space that you can only reach by surpassing five minutes in track length. Jupiter Lion has most often drawn comparisons to the bygone Krautrock bands of Germany in the 1970s – a time when the synthesizer became emblematic of thinking outside the confines of music theory and individuating German music more towards experimentation. Although there is nothing disparately Spanish about the band, their remarkability is playing music that has no audience on commercial pop beaches and the Balaeric beat revival clubs of their headquarters of Valencia. It’s no stretch of the imagination that the members of Jupiter Lion live in a dystopian sci-fi world, as watching unemployment rise and resources dwindle in their native country echoes many futuristic scenarios of literature. Much as the German youth rebelled against a confining social era with music not bound by rules, so too is Jupiter Lion a unique reaction to the current bleakness of the socio-economic climate. The 12-minute closer “Lost Cannibal” begins in a whirlwind of glitchy voices that calms into foreboding calls of bassist Jose Guerrero. “Time grows cold,” he bellows – just one entry in a list of machinations he foretells of that will mean a dismal future for our planet. Brighter is Jupiter Lion’s first release to feature tracks with vocals, but because they’re so sparsely found throughout, their presence is much more arresting between the instrumentals. Also worth mentioning is the increased role of drummer Gonzo in Vegas on “Lost Cannibal.” His name may or may not allude to The Muppets, but it’s fitting since he could easily give Animal the drummer a run for his money. With its aptly descriptive title, Brighter becomes a concept album, for nowhere on the effort is the band not making use of refraction and exploring various frequencies of light over time. As voyagers into the inexplicable vastness of sound, there is plenty for them to visit along the way: stars, comets, and swells of the dust that composes the universe. Radiant and utterly cosmic, Brighter will transport you through time and space on a wave of happy turbulence.